Carestream Health will show its new CARESTREAM DRX-Revolution Nano Mobile X-ray System at the upcoming Radiological Society of North America tradeshow (Booth #6713). This system uses carbon nanotube technology to deliver significantly reduced size and weight when compared to existing mobile X-ray systems. It is scheduled for availability in 2018 and currently is not available for sale. 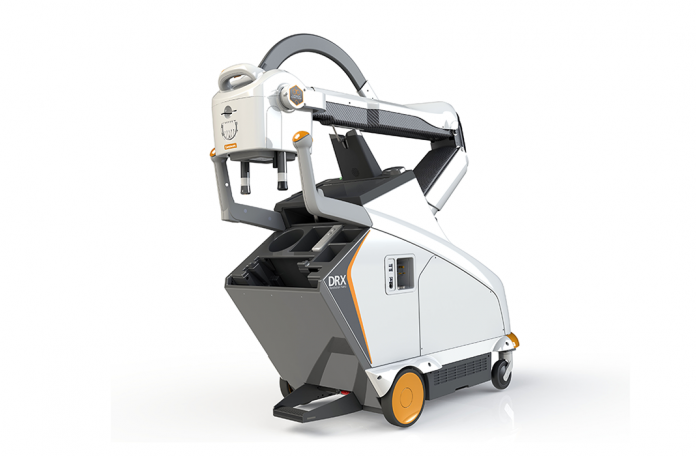 “We are showcasing our commitment to continued technological advances by demonstrating a new generation of mobile X-ray systems with carbon nanotube technology that offers important productivity and ergonomic advantages,” said Jianqing Bennett, Carestream’s President of Digital Medical Solutions. The DRX-Revolution Nano system is a lighter weight, non-motorized system that is easier to move and position even in cramped critical care areas. • Support for all Carestream DRX detectors. Carestream offers a comprehensive portfolio of mobile and room-based imaging systems to address the varying needs and budgets of healthcare providers. The company established its reputation for innovation with wireless DRX detectors that have dramatically improved radiology workflows. Carestream’s detector portfolio includes DRX Plus and DRX Core detectors available in a variety of sizes that are designed to meet the workflow requirements and budgets for healthcare facilities of all sizes. To view information about the wide range of Carestream products and systems being demonstrated at RSNA please visit www.carestream.com/rsna.